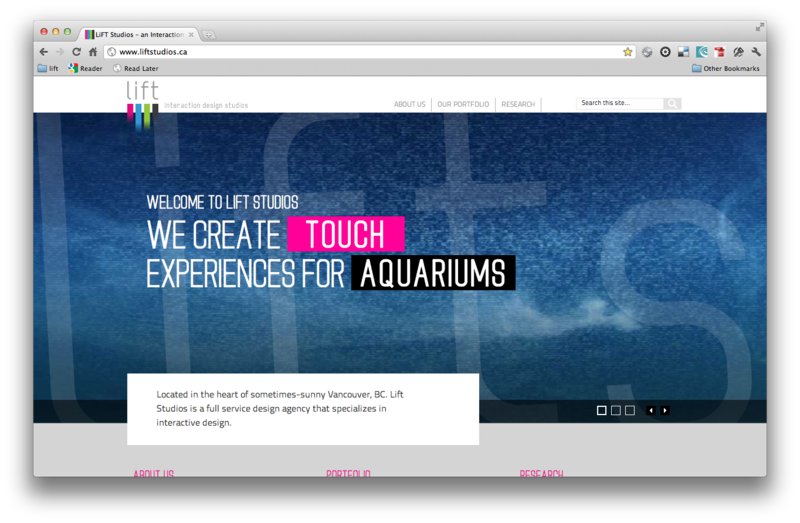 In 2005 Haig founded lift studios, an interaction design agency in Vancouver, BC. The studios’ goal is to create elegant usable interactive products for the web, mobile and touchscreens. Over the first 4 years the company has been recognized by the industry a number of times and continues to create exceptional work. The website’s goal is to present the work created by lift as well as the studios’ research projects: industry interviews, experiments in new technologies, urban interventions, and art installations.